A big thank you to all who have donated to the care of sick children in Nzara, South Sudan. Some talented parishioners are setting up a club to make and sell craft items in support of the project. The craft club will meet once a month and if you would like to join them please contact Penny Newman. It is hoped that a tabletop sale will be set up outside church on a regular basis once the group is established. Thank you to all who generously agreed to give regularly to the work of the International Refugee Trust. 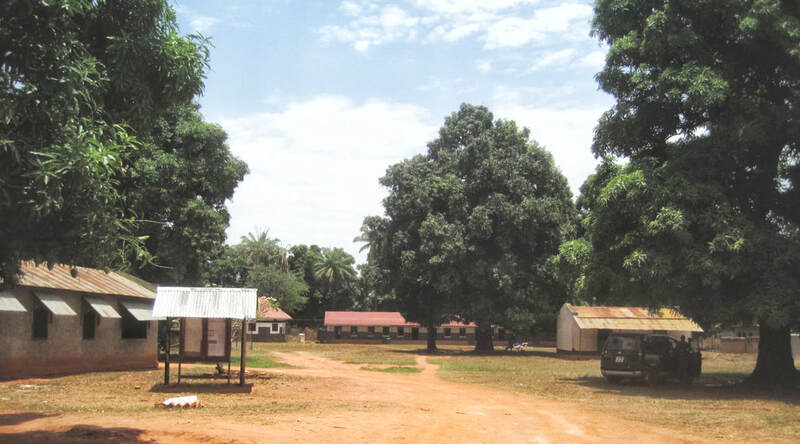 The chosen project and IRT’S own funding priority is the Comboni sisters’ hospital in South Sudan. There are 3 ways to give. If you wish to give by Standing Order monthly or annually you will find Standing Order forms at the back of church. After filling in the form please seal it and leave in the 200 Club box.It will be sent to IRT as coming from St Peter’s parish. If you write your name on the back of the sealed form we will be able to compile a list of contributors. Another way of giving is by using a Donation Envelope with or without Gift Aid. These will always be available. Please, put your envelope into the 200 Club box and it will be sent on from St. Peter’s parish. There will also be two bucket collections each year. Standing Orders forms & Gift Aid envelopes are at the back of church. Gift Aid envelopes & completed Standing Order forms should be placed in the 200 Club Box. Copies of information contained in a previous Newsletter are also at the back.